You should all know what Muse sound like; this album is more of the same but stripped down. There is Muse’s normal pomp and glamour but it sounds as if the three piece could have got somewhere close to doing this as live takes. 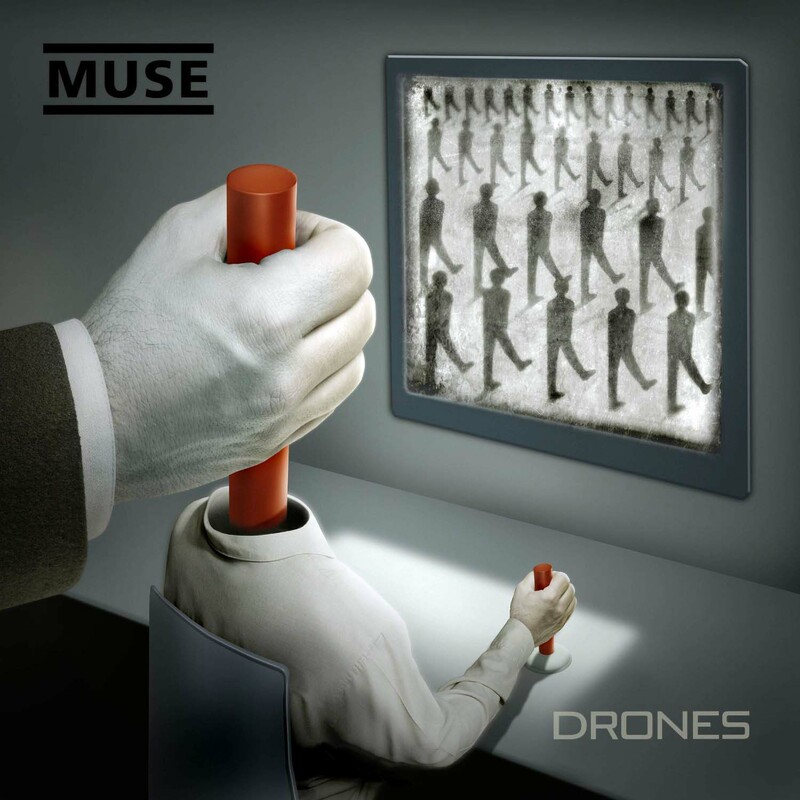 The proclaimed theme of the album is drones, specifically the ones currently flying over Yemen and Pakistan but more generally sci-fi robotic warfare. Lyrically, it seems to be more about affairs of the heart — the band’s Matt Bellamy apparently split with his partner recently — so armchair psychiatrists can sit there thinking about soulless killing machines and the emptiness of broken heart, men dying at the hands of remote drone pilots and love dying at the hand of something or other remote. If the creativity is Orwell, the music is still a bit Queen particularly the opening track, which is reminiscent of Radio Gaga. Elsewhere there are big catchy tunes, shredding, pomp and spoken word sections to reinforce the military aspect of the album. We’ve written all that just to fill some space: the truth is that it’s a bloody good album and in many ways, everything you should expect from a rock album: well planned, some air guitar, loud Kerrang! moments and slower, lighters-in-the-air sections. Truly a band at the top of their game. But you all knew that anyway.